So, this is an outfit I wore last week and didn’t have time to post. It was my first date with this gorgeous Phillip Lim for Target bag and I must admit, it was love at first sight! I have been searching for a new black purse for awhile now, and this one does not disappoint. I was lucky enough to get the medium satchel in both taupe and black in store and ordered the large carry-all tote with gusset in brown online. It was quite the shopping bender (and consequently forced me into my #noshoptilnovember challenge), but even after sobering up from my shopping high, I still have no regrets and love each bag. Anyways, this outfit features one of the plaid shirts I featured in yesterday’s post, as well as a sweater, both from from J.Crew Factory. I picked up this soft sweater on major discount this summer ($12!!) and love the saturated hue. To off set the bold color of the sweater and print of the plaid, I chose a pair of grey skinny cords and black bag to complement, but not overshadow, them. To finish off this preppy outfit, I added a some small pops of accent color with my cobalt flats, yellow rosette necklace and delicate bracelets. These cobalt flats have extra cushion inside of them and are probably the most comfortable pair I own, think walking on clouds. I have a few J.Crew inspired rosette necklaces, but this one is by far the easiest to wear. Incorporating a bright necklace into a look is a fun way to transition from summer to fall without doing a complete closet 180. This yellow rosette necklace won’t be hibernating this winter, no sir! Sidebar – ok, so I don’t know if anyone else has this problem, but on a few of the necklaces I have ordered, the roses do not lay flat and constantly turn or flip over, which for an O.C.D., perfectionist, crazy person like myself, is maddening. Thankfully, the ladies over at Our World Boutique hooked me up with this yellow one, which lays flat with none of the roses falling bottoms up. I am amazed and grateful! Not that this is a surprise; I have been ordering jewelry from their online boutique since March and have loved every piece and every price (seriously you NEED to check them out!). So, I think that is all I wanted to say in regards to this fun preppy outfit. I can’t wait to remix these pieces throughout the fall! Did you snag any of Phillip Lim’s Collection for Target pieces? Does your closet do a 180 from summer to fall? Ray, this is such a fun preppy look 🙂 Loving all of the blue details!! Visiting from the linkup. Would you fancy following each other on GFC or other social networks? I'd love to keep up with your posts. Just let me know if you're interested. Really cute look. That necklace really compliments the outfit. Thanks Abigail! 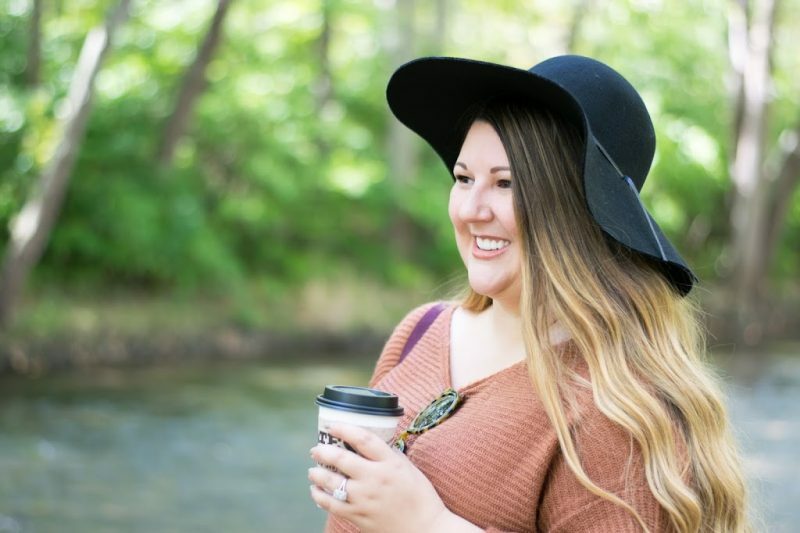 Connecting would be lovely, I primarily use Bloglovin' so I will look for you on there, if you would return the favor that would be great! Thanks so much! The bag is definitely one of my new favorites!